Bangkok is one of my favourite places in the world and the city where I’m currently based. As a vibrant city with a relatively low cost of living it's a great base for exploring Asia. What are the advantages of living in the capital of Thailand and how to save money while you're there? Superb location for travelling to other parts of Asia, and indeed the entire world. Bangkok is a major hub for airline travel. Great Internet and wifi speeds almost everywhere. Efficient and modern transport in the BTS Skytrain (train/metro) system and very cheap transport with taxi and motorbike taxi options. And it's true that many other cities have the same benefits and more. But until we learn to clone ourselves I'm forced to pick one place to live at a time. Bangkok has a lot to offer travellers, tourists, lifestyle entrepreneurs, and digital nomads. But in recent years the cost of living in Thailand has increased dramatically. 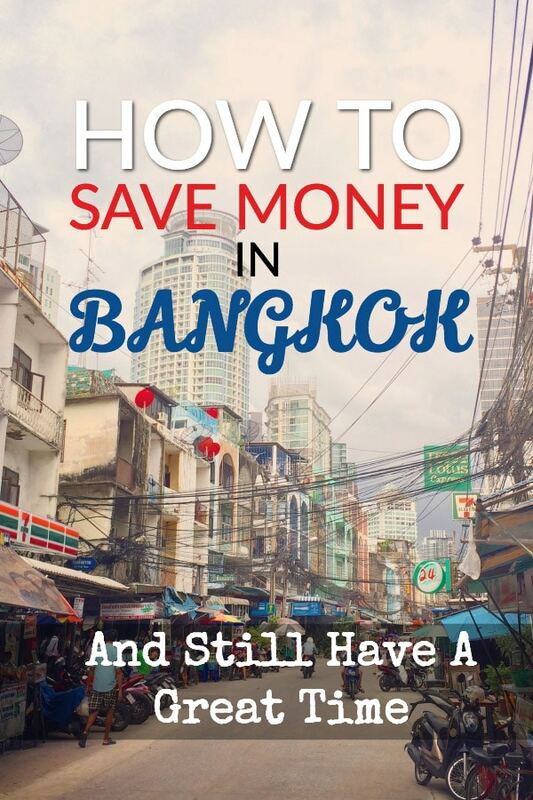 It’s not the cheapest destination in Southeast Asia (SEA) and in some cases, Bangkok can be a very expensive place to live. Vietnam, for example, is closer and the main cities are a lot less expensive than Thailand's capital. Hanoi is drawing more and more long-term travellers, expats, and digital nomads thanks to the low costs and fairly loose visa requirements. In a Bangkok vs Hanoi showdown, there's one clear winner for me. I do like some Vietnamese food though. 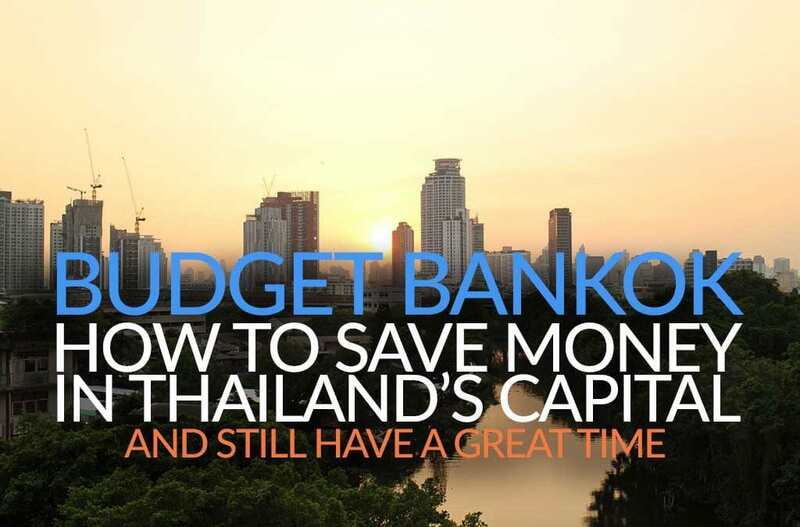 Here are some tips and money-saving strategies to help you live the Bangkok life to the full without breaking the bank. To give you an idea of the prices, a 20-minute subway/metro ride costs around 50 THB and a beer costs around 100 THB (depending on how expensive the place is). A plate of Pad Thai costs anywhere from 30 THB (on the street) to 300 THB in a fancy restaurant. Note: Prices are generally cheaper in Chiang Mai and more expensive in Phuket. If you’re planning a trip to Thailand, it’s likely you will pass through the Thai capital or even spend a few days. For others, BKK is the destination. To get value for money in the city takes a bit of work as there’s no shortage of ways to empty your pockets. When I travel I don’t aim to spend as little as possible. Travel is more than about seeing how long you can last or brag about how little you spent. Spend your money wisely and enjoy the experience. I travel because I want to get the most out of my time, not the most out of my money. Once you’ve spent some time in Bangkok, you begin to notice the overpriced services and products. Certain things like alcohol and red meat are very pricey here. The cost of a beer in Bangkok can be the same as in any major city in the world. Thailand is the 4th most expensive country to drink wine. On the other hand transport, massages, food, dentistry, and accommodation can be great value (if you’re earning Euros, Dollars or you have a good salary in Thailand). The first major tip I can give you for saving money is to travel in the rainy season. Don’t be scared off by the title, it doesn’t rain all day every day. Expect an hour or so of rain but dry streets at all other times. This isn’t Ireland, the rain is temporary in Thailand. If you’re planning on eating out the first thing you should do is check Eatigo.com. 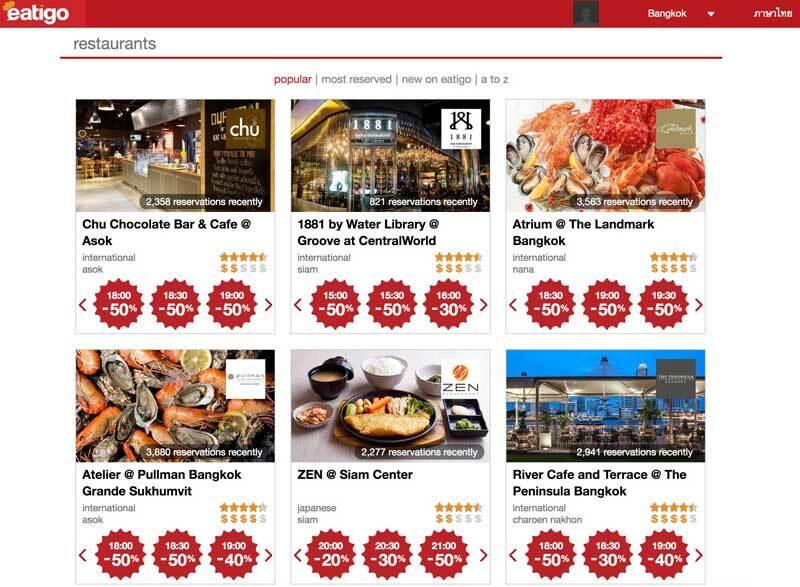 Eatigo is a restaurant booking platform which offers table reservations with discounts. Depending on when you book, savings of 50% on the total cost is common. In general, the biggest discounts are available for booking outside of peak hours. But peak hours seem to differ for certain restaurants so you have plenty of choices. Even if you like eating at 5 pm or 10 pm you can still find up to 50% discounts on dinner. Try restaurants and eateries off the beaten track. The savings can be enormous. Most tourists and rich travellers will gravitate towards the Thong Lor, Asok, & Nana areas along Sukhumvit and the restaurants here are priced accordingly. You can drop a fortune on dinner at places like “El Gaucho”, the Argentinian restaurant chain that has staggeringly high prices for steak. Head down the BTS line to On Nut where you can find an all-you-can-eat place called Best Beef. 490/2 Sukhumvit Rd. Open every day from 4 pm – 12 am this place is super popular with locals and savvy foreigners. Stuff yourself to the point of bursting for around USD$10. Even closer to the BTS station is another buffet with really economical prices. 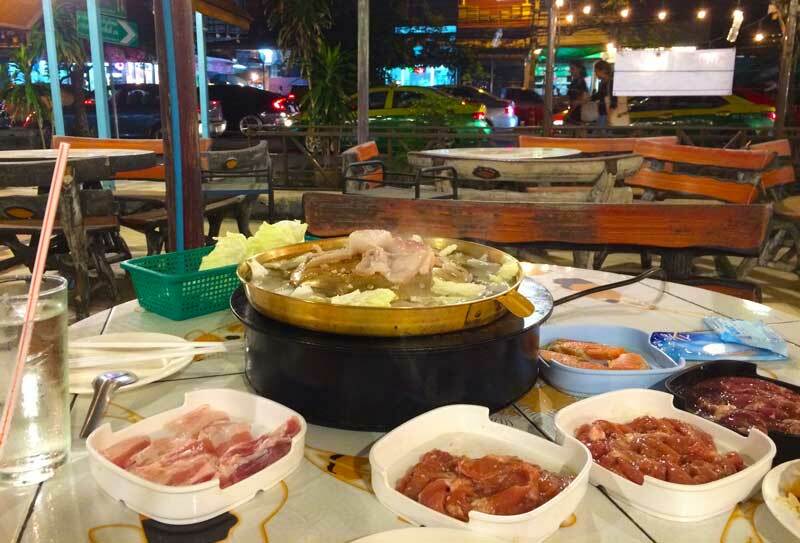 Between Sukhumvit 48/4 Alley and Soi 50 look for the large open-air eatery with people huddled around hot plates. For just over 200 Baht (USD$6) you can eat as much chicken, beef, pork, seafood & sides as you can handle. The idea of Thailand and massage might conjure up some seedy images but the truth is (as with most things in this country) that the seediness is limited to a few spots and a small percentage of locals and foreigners. 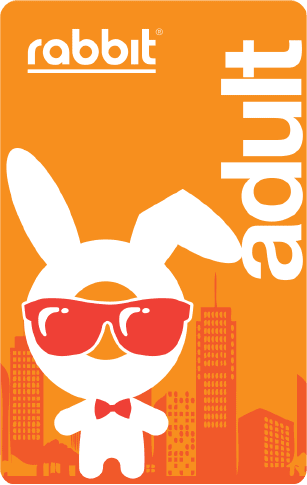 Another way of beating the ATM fees and at the same time get ‘rewards’ and discounts is to get a Rabbit Rewards Card. If you’ve used the BTS system already you might have seen one of these cards. Most people use them for paying their fare on the Skytrain but you can also use the cards to pay for other things. Top up your card at any BTS station, BRT station, Big C or Tesco Supermarket, and many other locations. Spend with the card by placing the card over the reader in any business that shows the Rabbit card sign. The gates at BTS stations will read the card and save you on queuing time for buying tickets. The website also displays promos on a daily basis so it's worth checking regularly. There are food courts in all major shopping centres in Bangkok but one of the best value locations is the Terminal21 food court. Pier 21 is located on level 5 of Terminal 21 on Sukhumvit Road at Soi Sukhumvit 19. Open from 10 am to 10 pm every day the food is cheap and tasty. You can also use your Rabbit Rewards card here. Dental care in Thailand is cheap but also of a very high standard. Even if you’re just visiting Bangkok for a few days or a few weeks, it’s worth getting your teeth cleaned, or a checkup or even some more involved procedures. The cost savings can be huge. For some people, the cost of the flight more than outweighs the savings on dental treatments back home. If you’re renting a condo, ask the condo management if there’s a filtered water machine. Most places have one but if not you can find them on the street also, usually near a 7-11 store. Filling a 6-litre container of water costs around 4 Baht. A lot cheaper and more convenient than buying and carting heavy water containers from the supermarket. Get Grab. 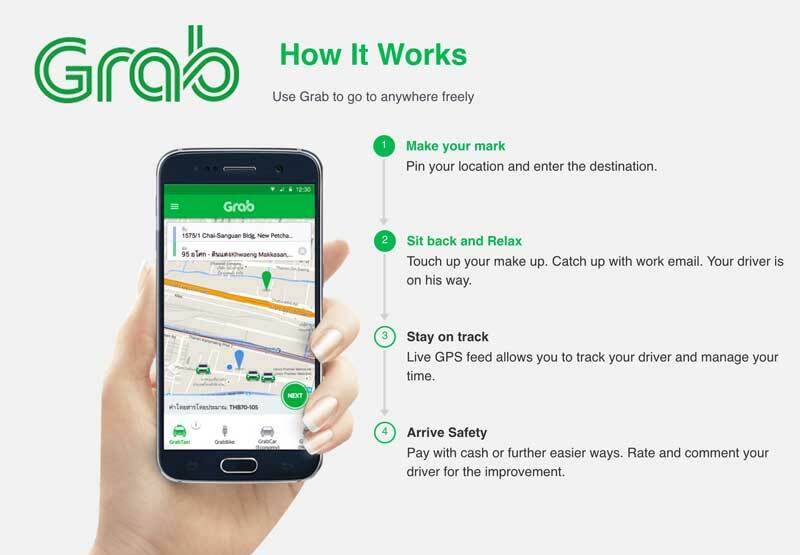 Grab is the Asian version of Uber, without all the bad behaviour and politics. It's a great service which can be used for anything from food delivery to high-end car service. Note: Grab drivers often get lost when looking for your apartment, especially if you live in a difficult to navigate to place. When ordering a car you have several choices, the first two being Grab Taxi and Grab Car. The former is an actual taxi so you’ve got more chance that the driver finds your apartment quickly. With the second option, you might be waiting. Once you sign up for the app make sure you add your credit card details and pay using credit (debit cards also work). The app will give you 100 Baht ($3) off your first ride. In many cases, this is enough to get you quite far in the city (outside of peak traffic hours) so your first ride is free. Taxi drivers in BKK are notoriously picky and actually ask you where you’re going before deciding if they will bother with you. Their behaviour will be the cause of their own demise as Uber and Grab start taking their business away. If you’re staying for a while then the Skytrain travel card (Rabbit Rewards) has some pricing options that you should consider. The most obvious choices might not be the best. Find a BTS employee that speaks English and tell them your requirements (number of days, estimated travel frequency). They will be able to tell you the best card to use to save some money. Thailand's International ATM fees are one of the highest I've ever seen. The scandalous charges for withdrawing my hard earned cash from a machine made me reconsider how I pay for things. Supermarkets, restaurants, and many service providers accept credit cards and you pay no extra for the privilege. Taking money out of an ATM to pay for items at the supermarket is like throwing away money. If you have to take out some cash to spend, use the Aeon bank ATM. The withdrawal fees are 150 Baht. That’s quite a bit of saving on the scandalous 300 Baht that most of the other ATMs charge. 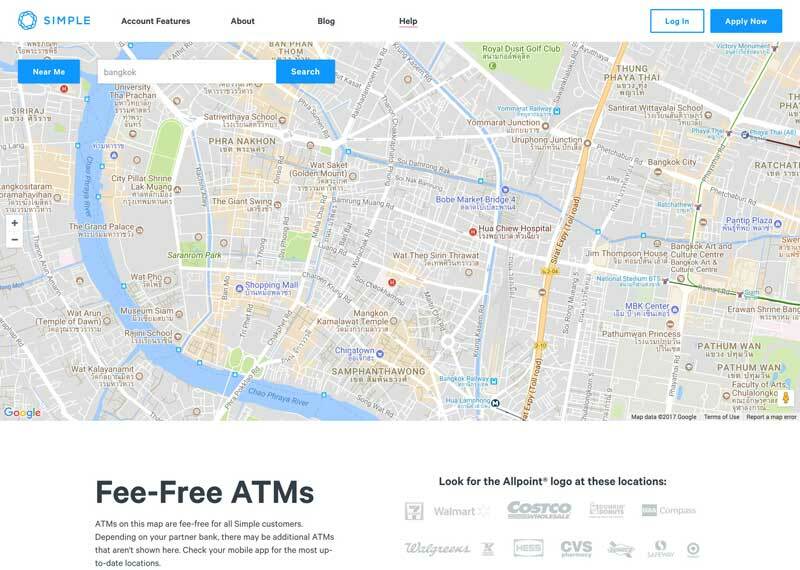 Many ATMs will only allow withdrawals of up to 7000 Baht. 7000 is roughly USD $200. In pounds, that’s £160 and just over €184. If you’re paying 300 Baht (USD $9) per transaction that’s nearly 5%. I use the Transferwise Borderless ATM card, which lets me receive money in many different currencies and convert in the Transferwise app. I can then use local ATMs to take out currency in Baht. The costs saved can be huge. Check out my Borderless account and debit card review. I would never recommend anyone to try to live as cheaply as possible in Thailand as doing so can make your life a challenge. Save money wherever you can and use that extra cash to enjoy even more experiences. BKK is a great city, full of amazing things to do. There's no such thing as a free lunch, but discounted lunches are everywhere if you know where to look. Have fun!